K. Arsi, I. Upadhyaya, A. Upadhyay, D. J. Donoghue, B. R. Wagle, S. Shrestha (1University of Arkansas, Fayetteville, AR) A. M. Donoghue (Poultry Production and Product Safety Research Unit, ARS, USD A Fayetteville, AR) - K. Venkitanarayanan, M. J. Darre (University of Connecticut, Storrs, CT) * A. Kollanoor-Johny (University of Minnesota, Saint Paul, MN) - A. C. Fanatico (Appalachian State University, Boone, NC) - A. J. Pescatore, J. Jacob (6University of Kentucky, Lexington, KY) - R. M. Hulet (Pennsylvania State University, University Park, PA) - A. J. Byrd (Food and Feed Safety Research Unit, ARS, USD A, College Station, TX) - O. J. Gekara, J. R. Moyle (Cal Poly Pomona, Pomona, CA). 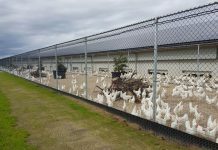 Organic poultry production is one of the fastest growing segments of organic agriculture with a 20% average annual increase since the establishment of the National Organic Program (NOP). Interest in these products has shifted from being a lifestyle choice for a small share of consumers to being consumed at least occasionally by two-thirds of Americans. 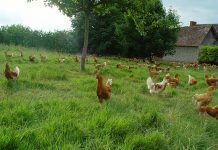 Organic poultry meat is the most commonly available and consumed organic meat product, followed closely by eggs, preferred by over 70% of consumers. The latest census of agriculture reported that the top organic sector in sales was livestock and poultry and the sale of organic broiler chickens and eggs amounted to $372 and $420 million respectively, and annual sales are expected to continue growing (USDA, 2015). With increasing consumer demand for organic poultry and poultry products, producers are challenged to meet the growing demand and at the same time, facilitate sustained growth of the organic poultry industry by developing practical, effective and environmentally-friendly methods for improving food safety and quality of poultry products. Although most management practices in organic production are designed to promote bird health and prevent disease, the lack of consistent and long lasting organic therapeutics for enteric diseases can adversely influence bird health and wholesomeness of poultry products. Enteric diseases such as necrotic enteritis, and food safety concerns due to pathogens such as Salmonella and Campylobacter, are high priority issues for organic poultry producers. 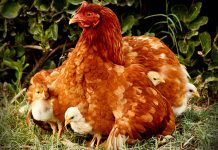 While the conventional poultry industry is equipped with several interventions to control pathogens in broiler chickens, organic poultry producers have access to only a limited number of antibacterials that are safe, effective and approved for organic poultry production. Therefore, there is a critical need for developing strategies to promote gut health and limit disease/pathogens in organically- raised birds. Through an Organic Research and Extension Initiative (OREI, NIFA) funded project, a team of poultry researchers from across the United States have collaborated to target this issue and provide organic farmers with viable, easy to implement solutions that improve poultry health and safety. Research from some laboratories indicates that plant-based, food-grade, natural and environmentally-safe compounds such as β-resorcylic acid, eugenol and carvacrol have significant antimicrobial efficacy against poultry pathogens and could address food safety and disease concerns in organic production systems. Since the central philosophy of organic agriculture is to reduce the impact of agriculture practices on animals, humans and the environment, organic farming restricts the use of synthetic compounds (e.g. antibiotics, hormones, pesticides, and herbicides) that could adversely affect the animals, environment and the public. According to the Organic Farming Research Foundation (OFRF), complying with the organic standards is one of the most pressing needs of organic livestock and poultry production. Salmonella and Campylobacter are two major food-borne pathogens epidemiologically linked to the consumption of chicken and eggs which together account for most of the laboratory-confirmed cases of bacterial gastroenteritis in the United States. Enteric diseases such as necrotic enteritis, and food safety concerns due to pathogens such as Salmonella and Campylobacter, are high priority issues for organic poultry producers. Each year, an estimated 48 million Americans (1 in 6) become ill from consuming contaminated foods or beverages. Both conventional and organic poultry products have been identified as important vectors for the transmission of two of the major sources of bacterial foodborne gastroenteritis: Salmonella and Campylobacter. Although organic food products may represent a safer alternative with regards to chemical contamination of the product, control of foodborne pathogens in organic poultry is particularly important because consumers of these products perceive them as being safer and choose them for children, the elderly and immunocompromised people. This is a concern for organic producers because they cannot control proper cooking and other food safety practices of consumers once the poultry products are sold. Natural plant compounds and extracts have been an important component of most traditional medical systems and may offer an effective solution to address the food safety concerns associated with the organic poultry production. The specific extracts of these plants that possess the highest activity, include trans-cinnamaldehyde from cinnamon, thymol from thyme or oregano and eugenol from clove. Another alternative is caprylic acid, which occurs naturally in milk and coconut oil. These extracts have shown both in vitro and in vivo efficacy against the pathogenic bacteria Escherichia coli, Staphylococcus aureus, C. jejuni, Salmonella spp. and Clostridium spp. The team evaluated these natural, effective and safe alternatives to address health issues in birds, along with the prevention of foodborne diseases associated with poultry products. They tested these compounds due to their potential antimicrobial efficacy, their Generally Recognized as Safe (GRAS) status, and National Organic Program (NOP) allowed status. The OREI project which has recently been completed investigated the efficacy of natural strategies, using numerous plant compounds for promoting gut health and controlling enteric diseases, including necrotic enteritis, and other pathogens in live chickens (Table 1). Results from the research indicated that the aforementioned natural compounds exerted a significant antibacterial effect on enteric pathogens in poultry, and offer potentially safe and effective strategies for controlling pathogens in pre-harvest organic poultry and comply with NOP standards. This project has generated over a dozen published peer reviewed manuscripts. Members of the team introduced the online Organic Poultry Production Forum in the Livestock group topic in eOrganic and a Poultry Production group in their System group. A Community of Practice (CoP) at the eXtension website was established to make this information available to small, medium and backyard poultry producers and materials are being produced for dissemination through both websites. To date, more than 35 presentations and 63 webinars have been conducted, and hundreds of articles were published in eOrganic and eXtension.org/poultry. For this presentation the Authors highlight some of the research findings and address future needs and directions for research. 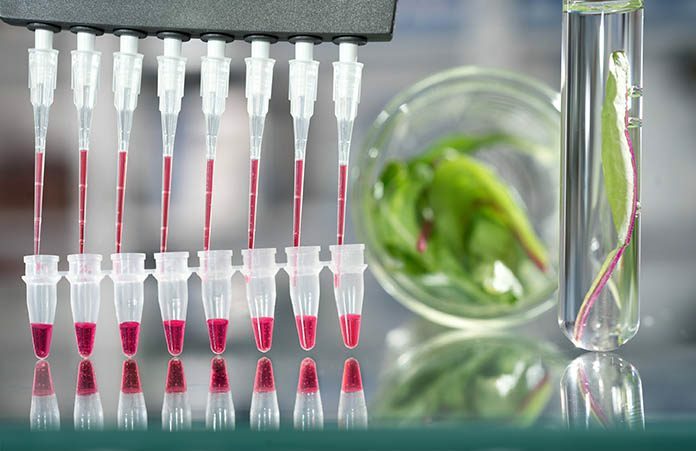 The efficacy of natural plant extracts, such as thymol and carvacrol, have been tested against pathogens such as, E. coli O157:H7, Salmonella spp., Shigella and Listeria monocytogenes in vitro. However, information on their ability to reduce Campylobacter in chickens is lacking. The objective of this study was to determine the efficacy of a range of concentrations and combinations of thymol and carvacrol in the feed to reduce Campylobacter in broilers. To evaluate in vivo efficacy, day old broiler chicks (n=10 chicks/dose) were fed 0% (controls) or selected doses of thymol or carvacrol or combinations of these compounds in feed throughout the study period. Birds were orally challenged with a five strain mixture of wild type of C. jejuni strains at day 3 and at day 10, cecal samples were collected for C. jejuni enumeration. Four trials were conducted in which birds were fed thymol or carvacrol or their combinations throughout the 14 day study period. Campylobacter counts were reduced for 0.25% thymol (Trial 1), 1% carvacrol or 2% thymol (Trial 2) treatments, or a combination of both thymol and carvacrol at 0.5% (Trial 3) in this study. These results indicate that supplementation of these compounds in the feed may control the colonization of Campylobacter in chickens but, additional research is required to develop treatment regimens that could assure consistent efficacy. The objective of this study was to evaluate if P-resorcylic (BR) acid would reduce enteric Campylobacter colonization in birds. To accomplish this, day of hatch chicks (n=10 birds/treatment) were fed one of four treatments (0, 0.25, 0.5, or 1% BR) in two replicate trials. Birds were challenged with four wild strains of C. jejuni (approx. 106 CFU/ml) on day 7 and cecal samples were collected on day 14 and enumerated for Campylobacter. Data were logarithmically transformed and treatment means were partitioned by LSMEANS analysis (P < 0.05). Supplementation of BR in poultry feed for 14 days at 0.5 and 1% reduced Campylobacter populations in cecal contents by ~ 2.5 and 1.7 Log CFU/g, respectively (P<0.05). No significant differences in feed intake and body weight gain were observed between control and treatment birds fed the compound (P>0.05). These results suggest that BR could potentially be used as a feed additive to reduce Campylobacter colonization in broilers. This study investigated the therapeutic efficacy of plant compounds, trans-cinnamaldehyde (TC) and eugenol (EG) on reducing Salmonella enterica serovar Enteritidis in commercial, market-age broiler chickens. The results suggest that TC and EG supplemented through feed could reduce Salmonella Enteritidis colonization in market-age chickens. This study investigated the efficacy of two GRAS-status, natural antimicrobials, P- resorcylic acid (BR) and trans- cinnamaldehyde (TC) as in-feed supplements to reduce the carriage of Salmonella Heidelberg (SH) in broiler chickens. Two hundred, day-old chicks were randomly allocated to ten treatments (n=20); (1) a negative control (no SH challenge or supplemented compound), (2 and 3) BR controls (no SH, but 0.75 or 1% BR), (4 and 5) TC controls (no SH, but 0.5 or 0.75% TC) (6) a positive control (SH challenge, but no TC or BR) (7 and 8) BR treatment (SH and 0.75 or 1% BR), and (9 and 10) TC treatment (SH and 0.5 or 0.75% TC). TC and BR were supplemented in the feed for 20 days, starting on day 0. On day 8, birds in the positive control, TC and BR treatments were challenged with SH (8 log10 CFU/bird) by crop gavage. After 10 days of challenge, 10 birds per treatment (n=10) were sacrificed by CO2 asphyxiation, and cecum, liver and crop from each bird were collected for SH enumeration. All TC and BR treatments decreased S. Heidelberg on day 1; 0.75% TC reduced the pathogen count to ~ 2.5 log10 CFU/ml compared to controls (P<0.05). TC (0.75%) and BR (1%) significantly decreased SH in the cecum to ~1.5 log10 CFU/ml and undetectable levels, respectively. All treatments were effective in reducing S. Heidelberg in liver and crop when compared to controls (P<0.05). Organic poultry processors have very limited strategies that are safe, effective and approved for reducing pathogens on poultry carcass and/or eggs, other than chlorine and peracetic acid. Incorporating a holistic and systems approach based on scientifically-validated natural interventions at critical points to control pathogens in the post-processing/handling chain of poultry products will not only support the organic production values and philosophy, but also strengthen the sustainability and economic viability of the organic poultry sector. This will significantly enhance food safety and quality of organically produced poultry meat and eggs, thereby improving public health. Preliminary research from team’s laboratories indicates that plant- based, food-grade, natural and environmentally-safe compounds Authors used in their preharvest work have promise for postharvest meat and egg pathogen reduction. A few of the pilot studies showing efficacy are detailed below. Previous research from team’s laboratories indicated that several plant compounds were effective in rapidly reducing large populations of Salmonella on tomatoes and eggs. 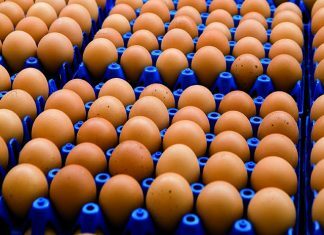 Research revealed that antimicrobial wash with plant compounds rapidly inactivated S. Enteritidis on eggs to below detection limit at 32 °C. This research has led to the development of several effective and easy to implement strategies to promote gut health and limit disease/pathogens in these birds. 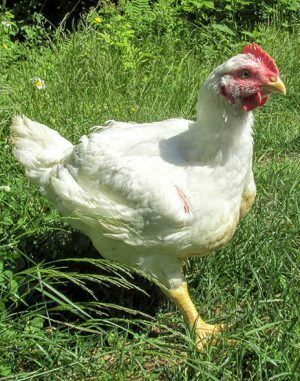 As organic poultry producers have a limited number of safe, effective and approved organic strategies to prevent and treat health problems in their flocks, these findings have produced effective solutions. Results indicate that essential plant extracts have antimicrobial efficacy against poultry enteric pathogens. These compounds are permitted under NOP and address food safety and disease concerns in organic production systems. Further, these compounds potentially could also be used during post-harvest processing to reduce the prevalence of foodborne pathogens on post-harvest poultry products, however, more research is needed in this area.